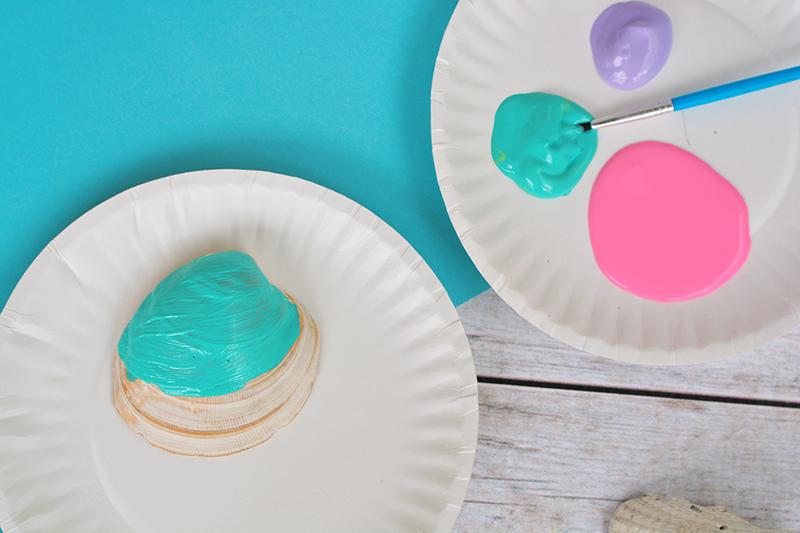 Preschoolers and even older kids will love this simple and colorful seashell jellyfish craft. We have a huge mason jar filled with shells from some of our previous family vacations that I’ve been eyeing up for some craft ideas. 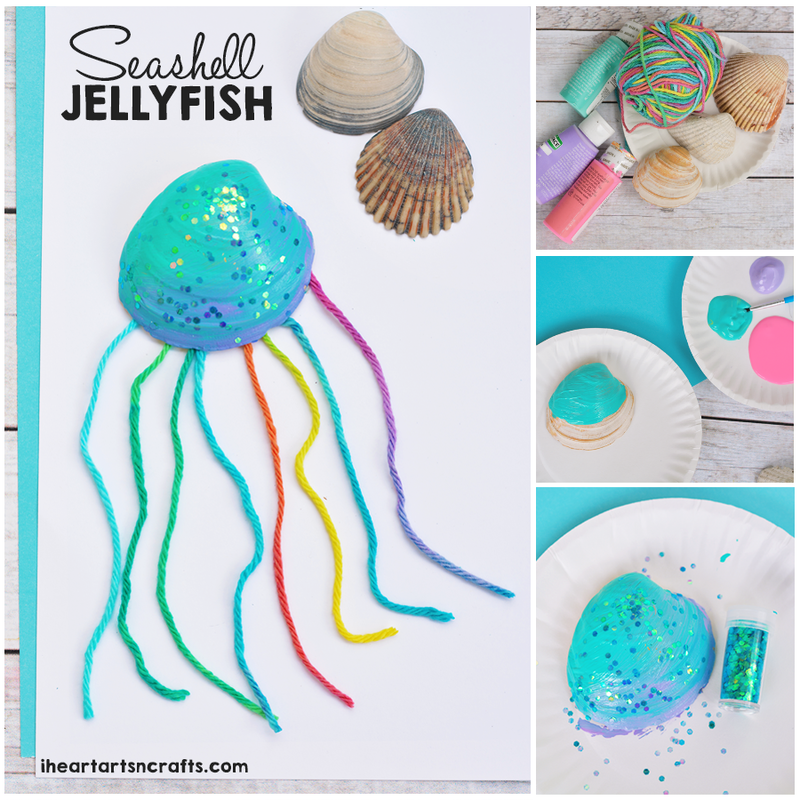 I decided to turn some of our vacation shells into some colorful jellyfish! 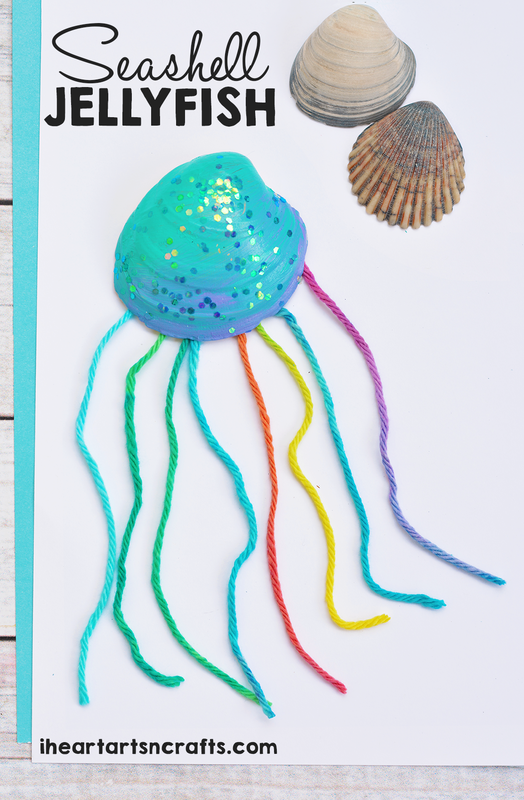 Follow the easy tutorial below and make sure to check out our other ocean crafts! 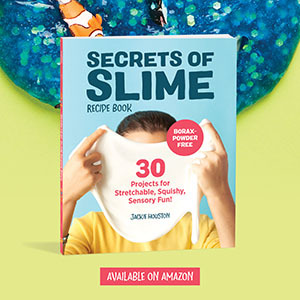 First you’ll want to paint your jelly fish, use any color you’d like! We opted for bright colors to go along with our rainbow yarn. 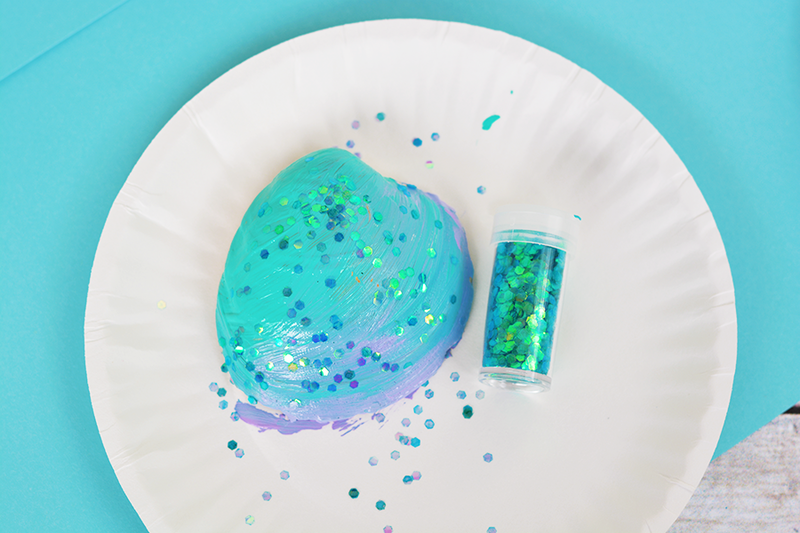 Of course glitter is optional, but why wouldn’t you? 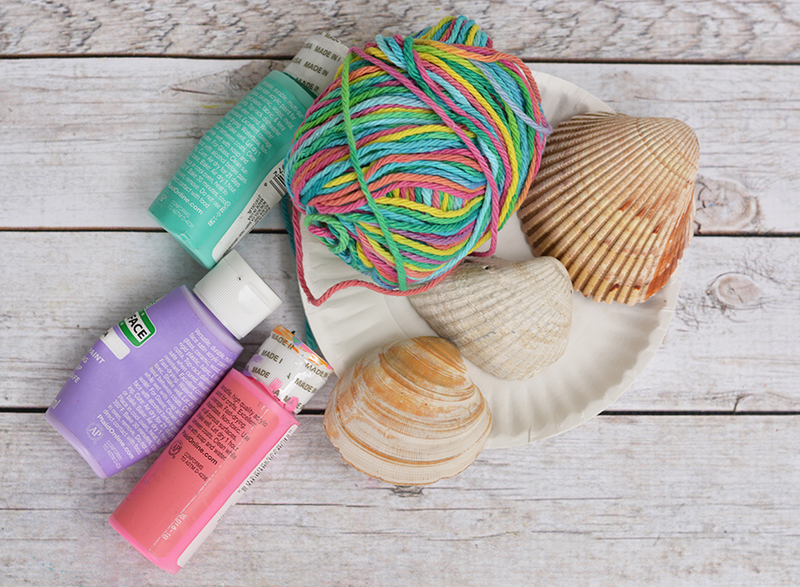 Then once your seashell has dried, cut some strips of yarn and glue or tape them to the back of your seashell.